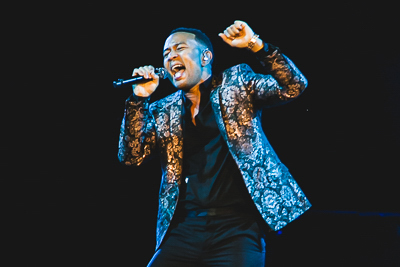 John Legend, multi-platinum selling and ten time Grammy Award-winner R&B singer brought his "Darkness and Light" Tour to The O2 in London last night and it was a perfect excuse for all the thousands of couples attending to make this special occurrence their Tuesday date-night. Somerset House on a summer's evening isn't the worst place to be. The sun sets over the top of the regal building, making its flag- rainbow for Pride- glow. The square is the perfect size for a gig of this scale; there are no bad views. There are quality food vendors that are the envy of larger festivals. 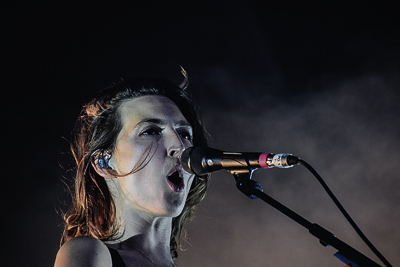 Warpaint are headlining..
“There are more than 300 languages spoken in this city. 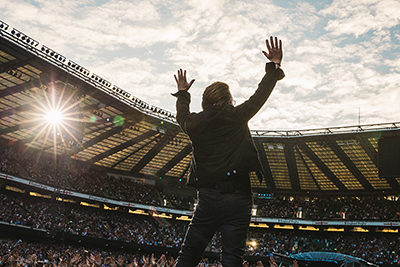 Is London not the capital of the World?” These were the words of iconic front man Bono, as Irish rockers U2, performed in London on Saturday night in celebration of the 30th anniversary of their 1987 ground-breaking album, The Joshua Tree. Nostalgia was tangible in the air and Twickenham Stadium was packed with excited fans that likely were at this very album’s promotional tour three decades ago. A show that was never to be played in Axl Rose’s lifetime, happened in London tonight and he was on time, on cue and fully committed. 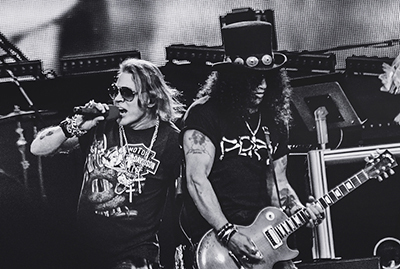 London’s Olympic Stadium shook to the heavy rock sounds from Guns n' Roses 'Appetite for Destruction' and a lot of covers, but at least Slash and Axl are on stage together once more. 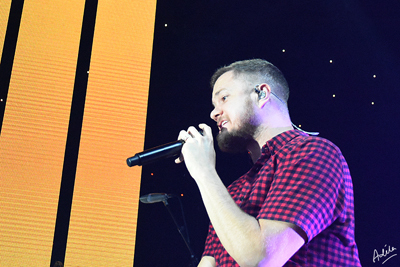 In anticipation of the upcoming third studio album Evolve (ƎVOLVE), scheduled for release later this month, American alt-rock band Imagine Dragons played a very special show at Roundhouse last night and Adila and I were fortunate enough to attend it. Having two of the top ten most downloaded songs in rock history, 'Radioactive' and 'Demons', the band has had a meteoric rise to fame from playing small venues in front of 100 to some of the biggest music festivals in the world and being able to draw a crowd of early-twenty-somethings that literally went around the block when I arrived at the venue. 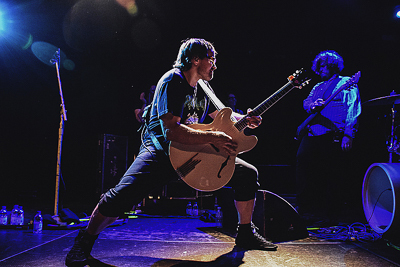 If you’re between the ages of 15 and 55, you probably know Wheatus’ anthem 'Teenage Dirtbag' and likely, every word of it. Essentially only famous for the one song and with over 20 band member changes its release, I was curious to see whether the now 40-somethings can still entertain singing about their teenage shenanigans.